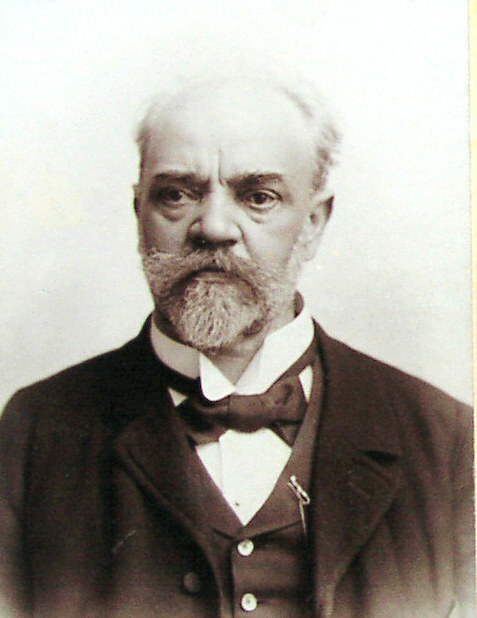 Dvořák's eighth symphony is regarded by many as the greatest of his nine. At the time of the composition, Dvořák said that he wanted "to write a work different from my other symphonies, with individual ideas worked out in a new manner." and he was clearly successful in that intent. Formally the work follows the classical pattern, and has obvious influences from Beethoven in the second and fourth movements, however the use of harmony and melody departs from earlier models, and create a work of great originality. Most notably Dvořák makes use of simple folklike melodies, with a Czech character, but weaves them into a coherent form through very subtle development. Many writers have described the symphony as a "sunny" work, but in truth it is much more than that. There are passages of drama, exhilaration, happiness and nostalgia. Overall it is a work that evokes a wide range of human emotions and is yet profoundly optimistic. Some writers have found in the symphony a nostalgic longing for childhood, created partly by the simplicity of the melodic material and partly by the orchestration. Dvořák had three children who did not survive to adulthood, and it is quite likely that some of the sadder, reflective passages in the work express the emotions associated with his dark past. At the time, the key of G major was considered inappropriate for a symphony, since it was largely associated with popular or rustic music. No major composer had written a symphony in G major since Haydn. Dvořák's choice of key was probably made deliberately to reinforce his use of simple folk music. Interestingly the next major composer to write a symphony in G major was Mahler who, in his fourth symphony, perhaps influenced by Dvořák, associates the key with childhood. The first movement opens with a beautiful minor melody played on the cellos and winds. It functions a little like a slow introduction, and recurs throughout the movement outlining the formal structure. The movement is in sonata form with an energetic first subject, and an equally lively second subject in the key of B minor. In contrast to classical models the exposition is not repeated, and the development section is greatly extended. Dvořák uses great ingenuity both in his orchestration and his use of harmony to continuously build tension throughout the development reaching a stormy climax where the opening melody is played fortissimo by the trumpets and accompanied furious chromatic scales on the strings. The recapitulation is short and contains many new developmental ideas. In contrast to its subdued beginning the movement end in a blaze of energy. The second movement opens with a solemn passage in the key of C minor. The dark mood eventually lifts like a morning mist, and the main theme of the movement appears in the warm key of C major, played by the winds and accompanied by delicate descending scales on the strings. In the central section the movement grows in strength and grandeur, like the midday sun, to a magnificent climax. Following this a dark passage in the key of C minor disturbs the tranquillity with angry detached chords, but this momentary storm is dispelled by the return of the sunny main theme, this time played by the strings with the descending scales on the woodwinds. The third movement is a scherzo and trio. The scherzo is in G minor and is built of a beautiful lyrical melody tinged with a profound sadness. The movement has great poise and elegance, and is propelled forward with excitement and vitality created by Dvořák's subtle changes in harmony, phrasing and dynamics. The trio forms a strong contrast to the scherzo being in the major mode, and based on a very simple melody full of childhood innocence. The movement ends with an unusual coda, which is a variation on the trio, replacing any sense of sadness with raucous energy, though finishing on a subdued chord. The final movement is announced by a brilliant trumpet fanfare. As in the first movement the cellos introduce the main theme, this time in the home key of G major. The movement is in variation form, but with the structural innovation that the theme and second variations recur as they would do in a rondeau. The first variation is a tentative elaboration of the theme, but the second is wildly exuberant with thrilling trills from the horns. The following variations create a range of moods. There is a simple "music box" version from the flute, a stark march in the minor mode, then later a sad reflective yearning variation from the strings. In the end though it is the exuberant second variation that returns and is extended into a coda of vibrant energy. Dvořák's Eighth Symphony was performed by the Portobello orchestra on the 4th July 2009 conducted by Anthony Weeden, and on the 9th July 2016 conducted by William Church.